Vince McMahon’s wrestling kingdom may be close to inking a deal with Fox for its popular “SmackDown.” The agreement would bring more than $1 bln for the rights to broadcast the program, much more than NBC has been shelling out. WWE deserves a champion’s belt for savvy partnerships. 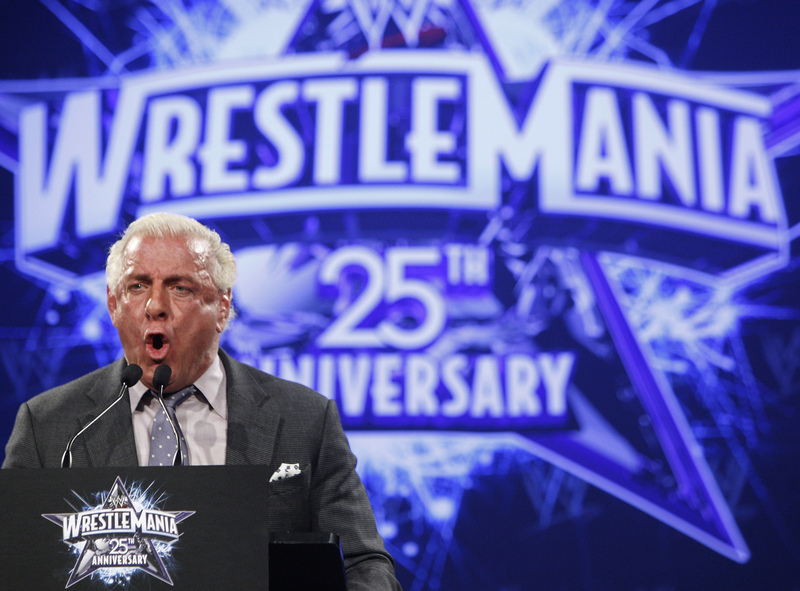 WWE Hall of Fame Wrestler Ric "Nature Boy" Flair speaks during a press conference for the 25th Anniversary of WrestleMania in New York March 31, 2009. World Wrestling Entertainment is close to signing an agreement with Twenty-First Century Fox to air "SmackDown," according to a May 21 report in the Hollywood Reporter that cited people familiar with the matter. NBC Universal, which currently has the rights to "SmackDown" and "Raw," would keep airing "Raw." Fox’s five-year deal is worth more than $1 billion, or about three times what NBC is paying for "SmackDown," the report said.